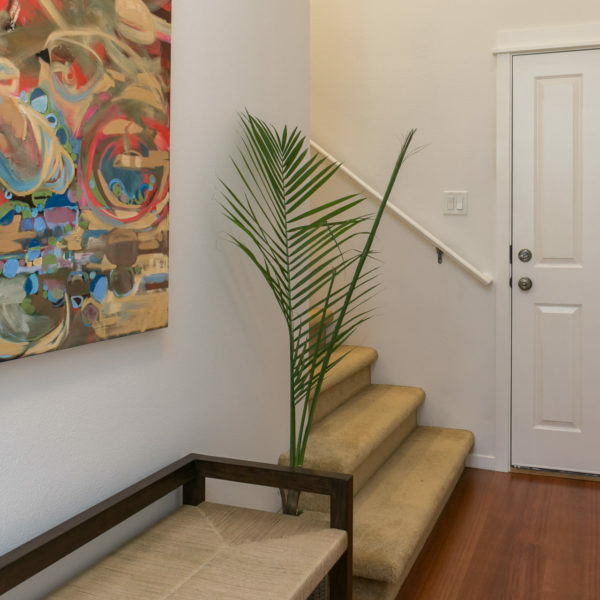 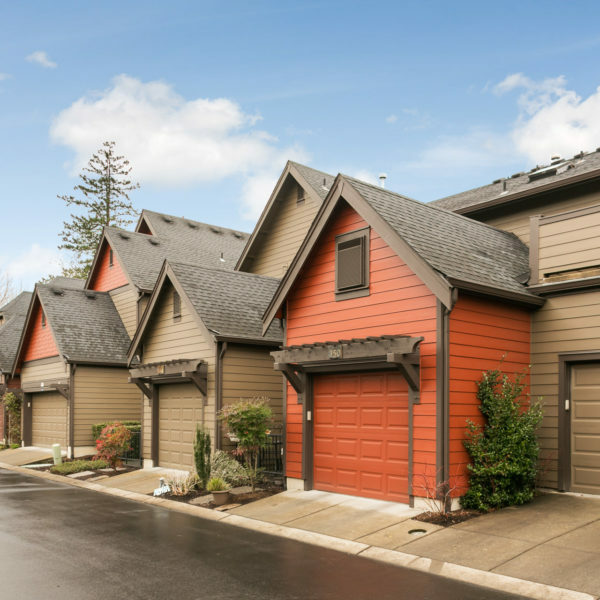 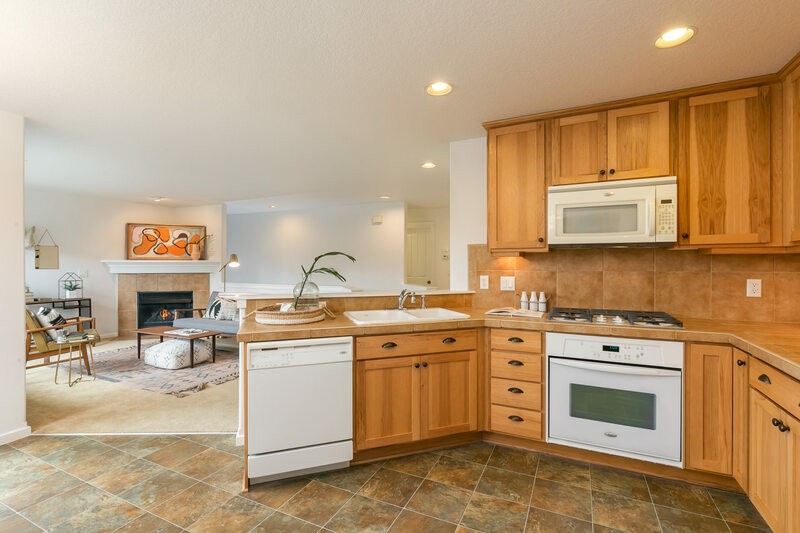 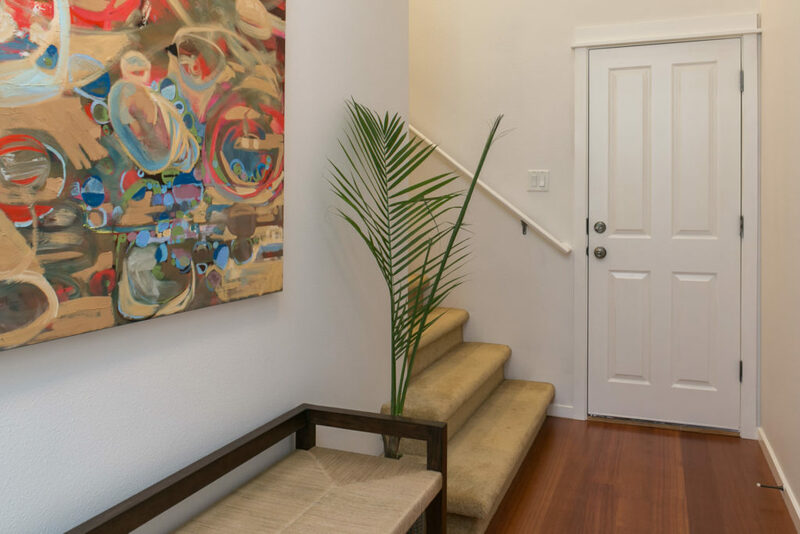 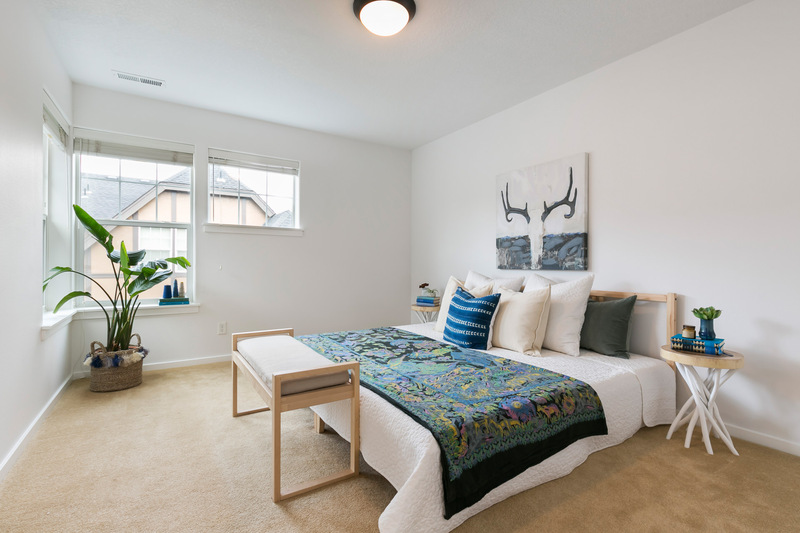 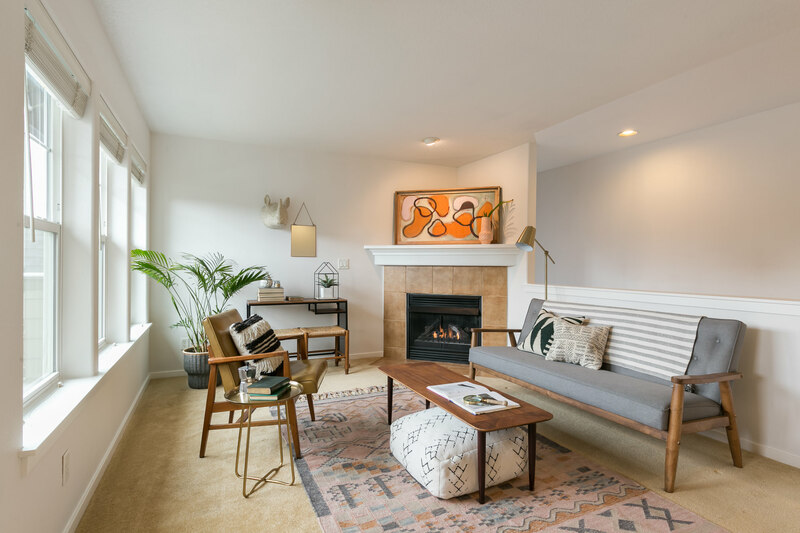 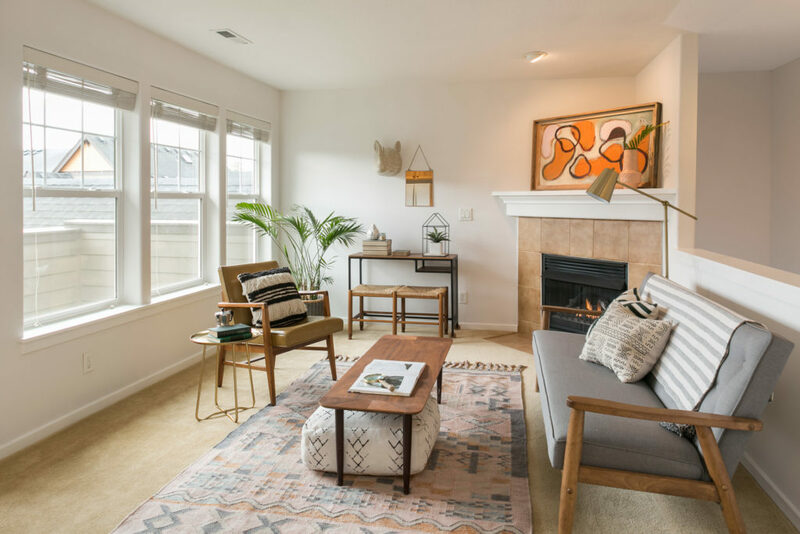 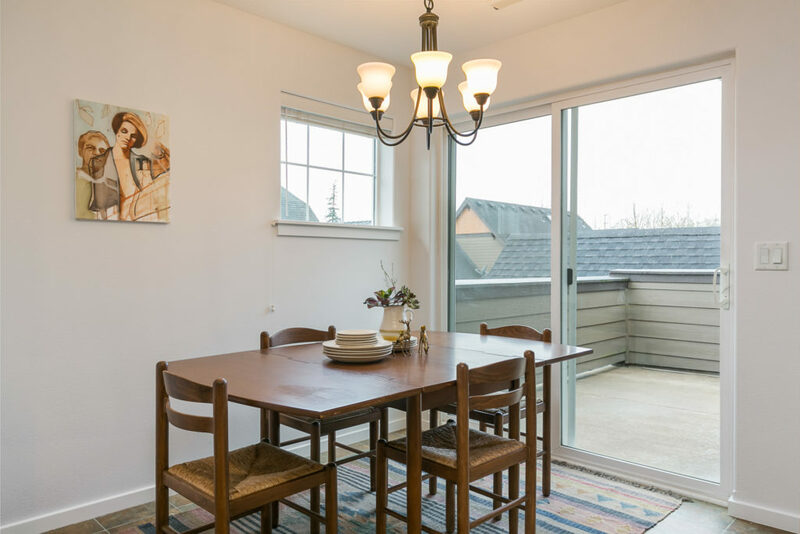 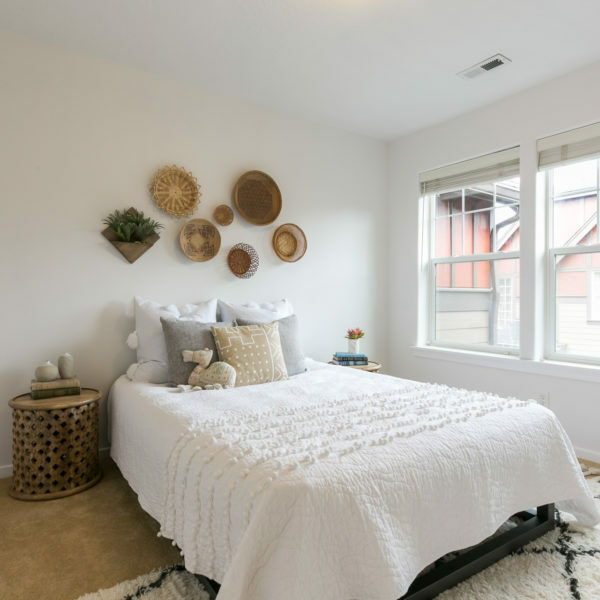 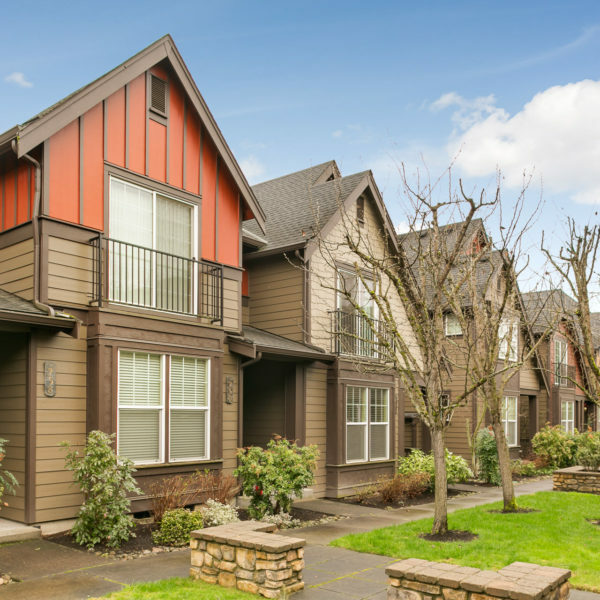 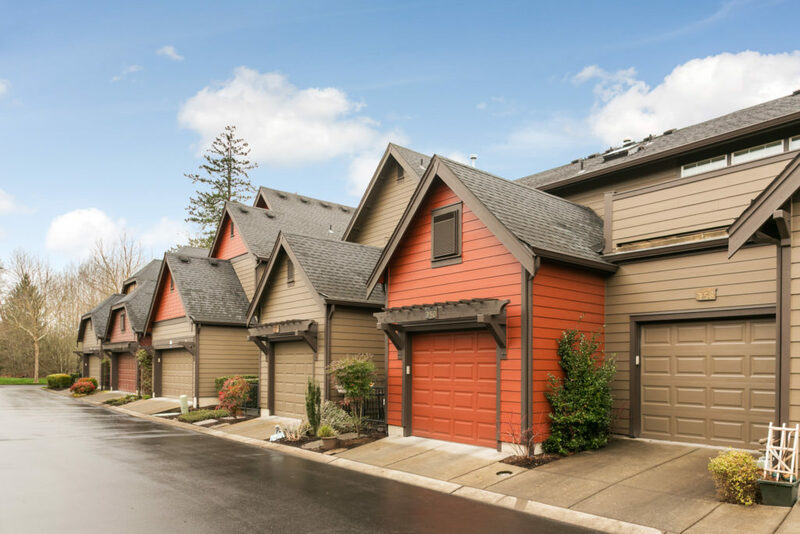 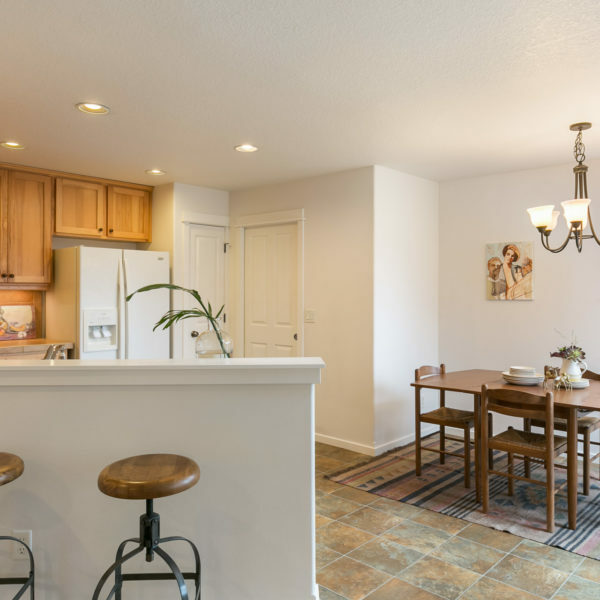 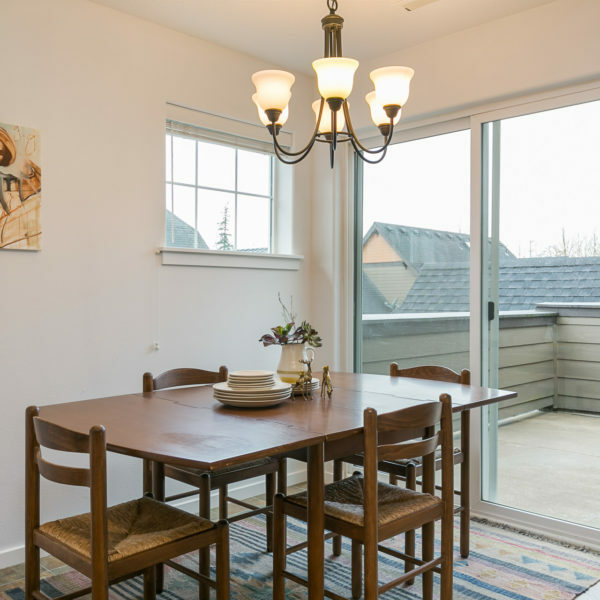 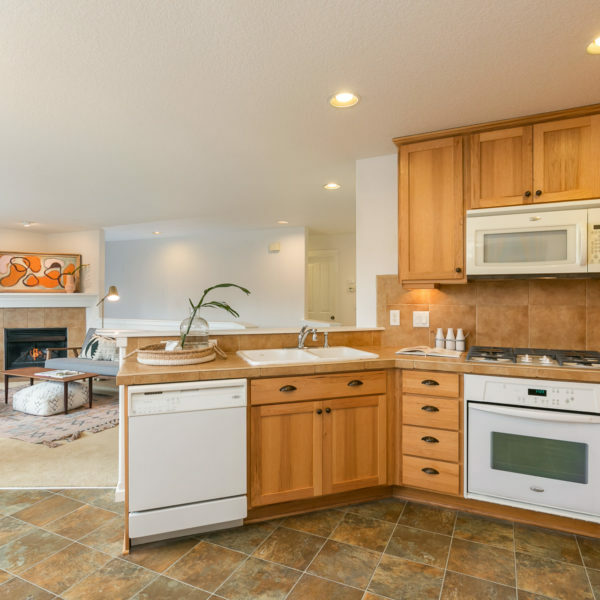 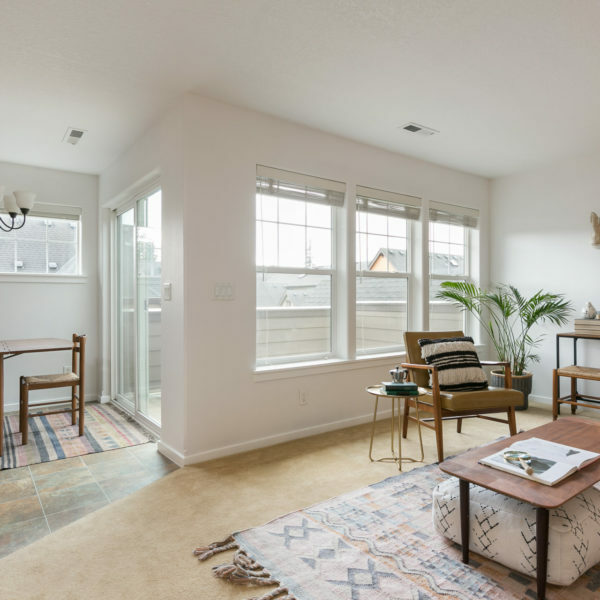 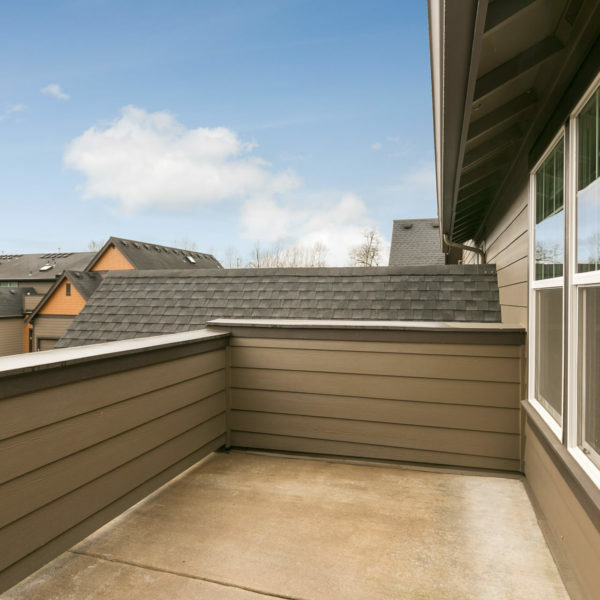 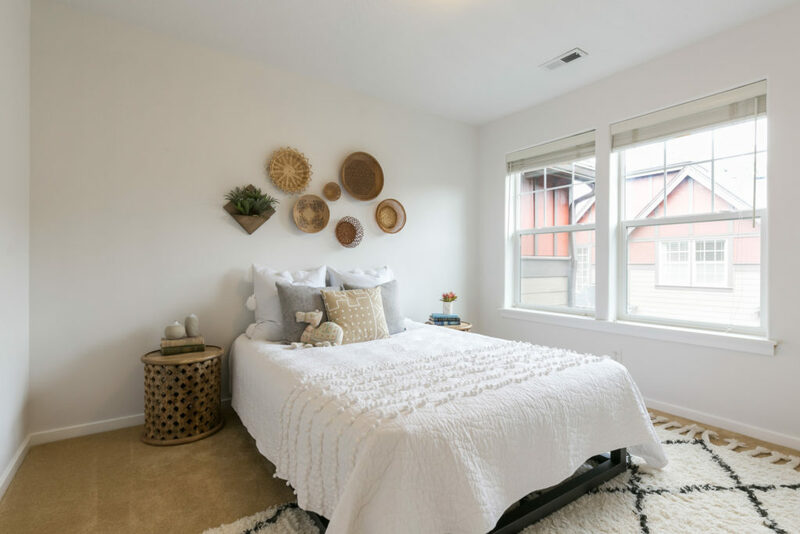 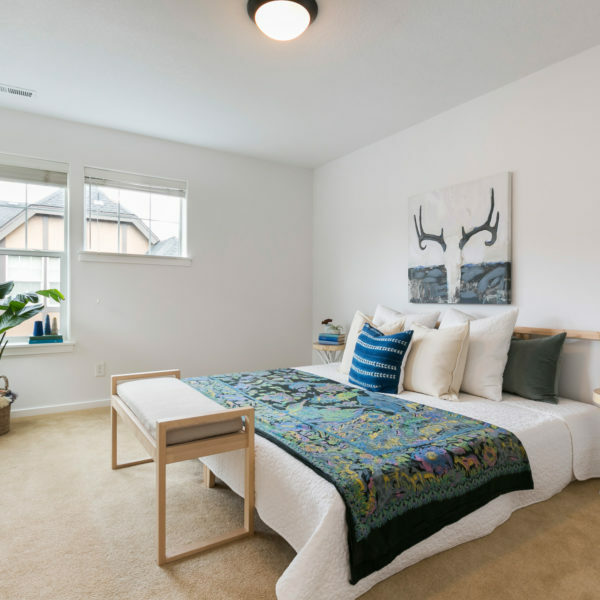 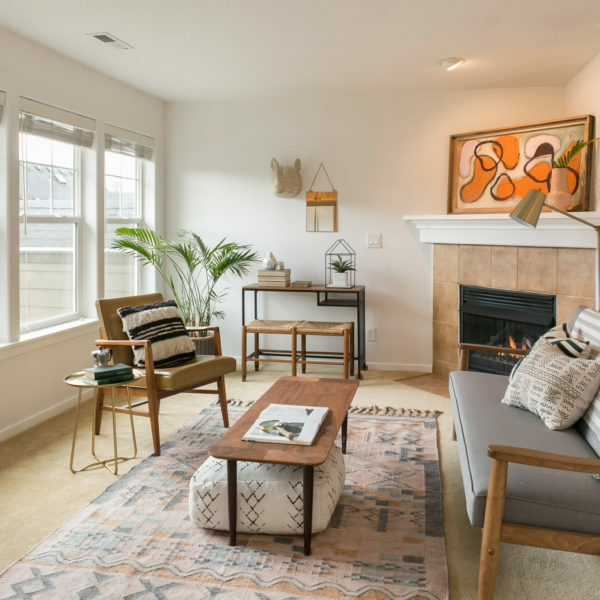 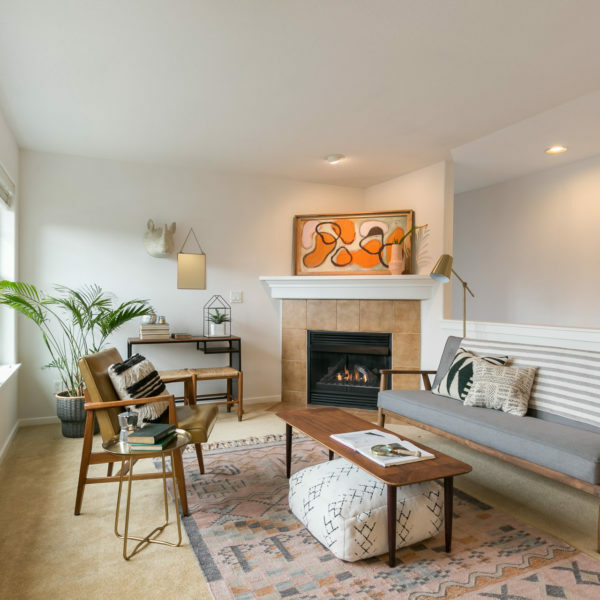 Boasting an exceptional location in the highly sought-after Stonewater at Orenco community, this spacious condo offers an airy and open floor plan. 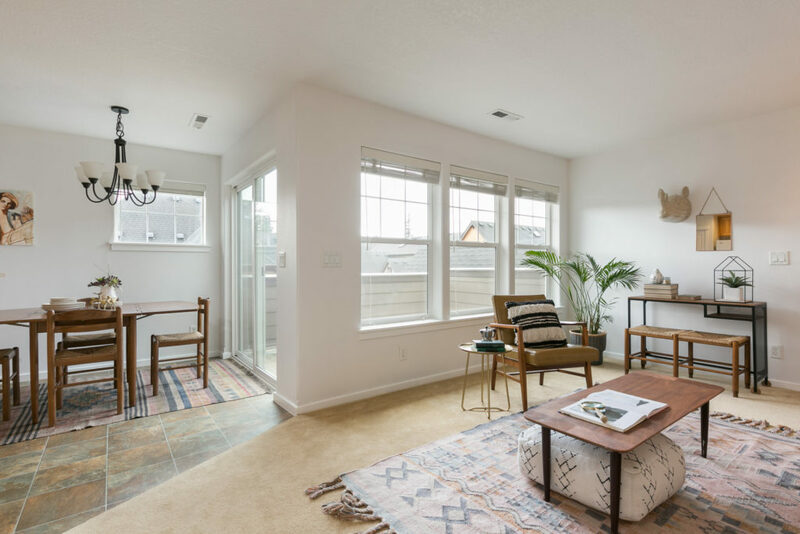 The large living room features a gas fireplace and a wall of windows. 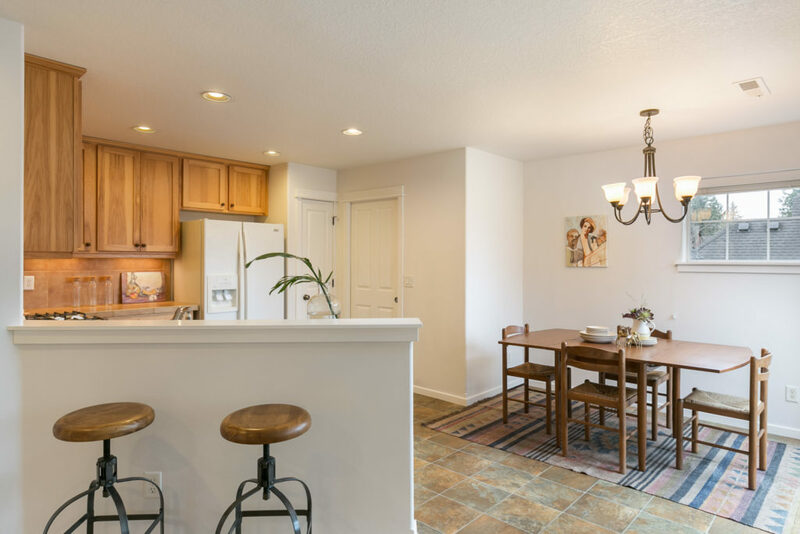 The dining area, with sliding glass door to a private deck, opens up to the kitchen that boasts upgraded cabinets with crown molding & under cabinet lighting, gas cooktop, built-in microwave oven, pantry and designer tile countertops with full backsplash. 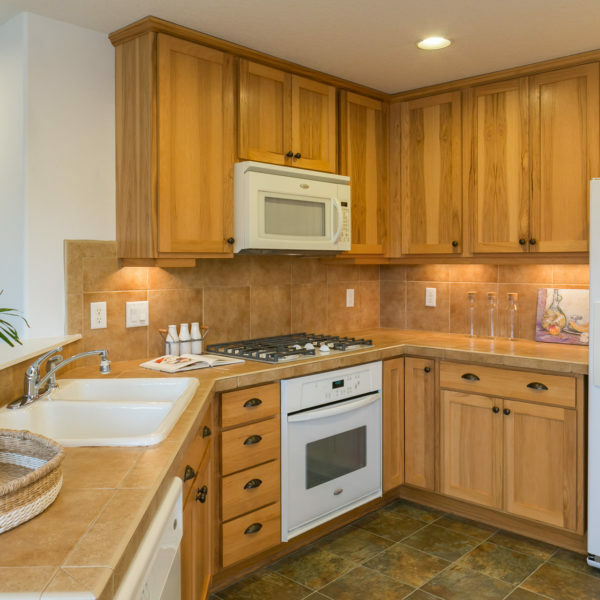 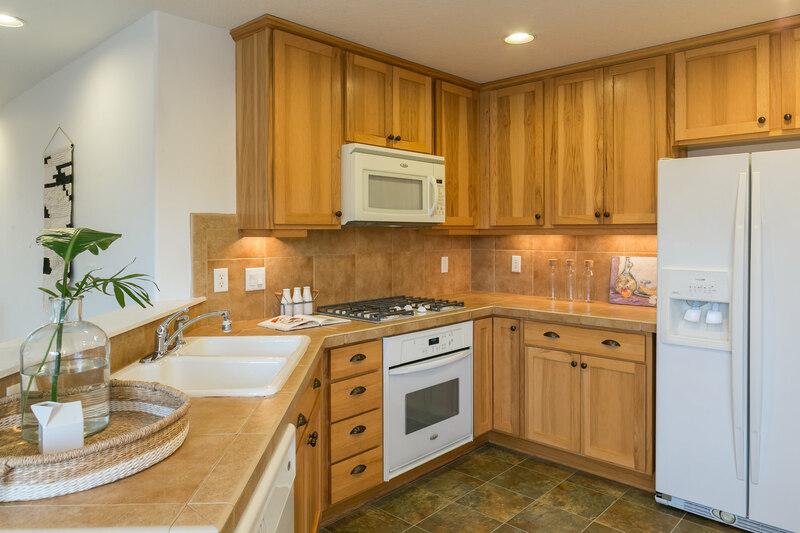 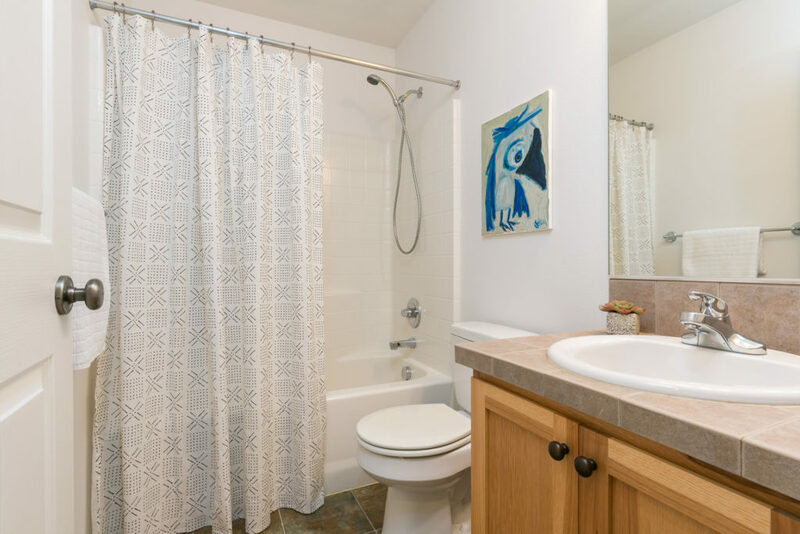 The refrigerator is included and so are the washer & dryer in the conveniently located laundry room. 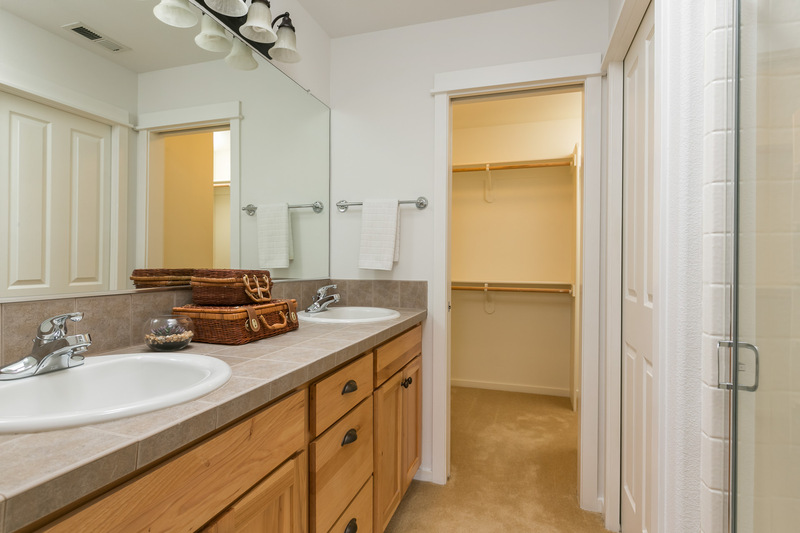 Two spacious bedrooms include a master suite with walk-in closet and master bathroom with large vanity with dual sinks. 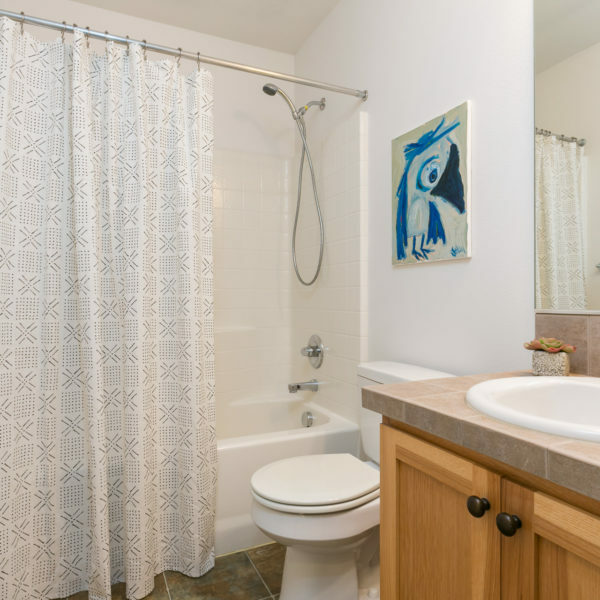 The hall bathroom has a bathtub. 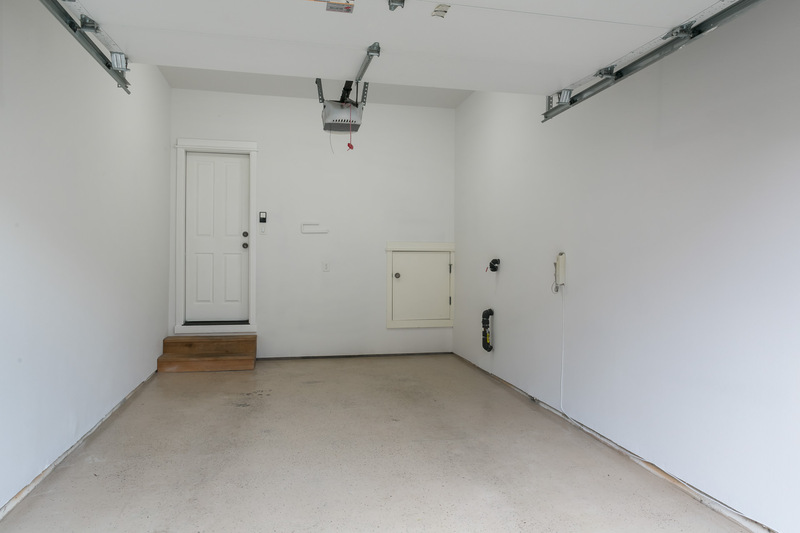 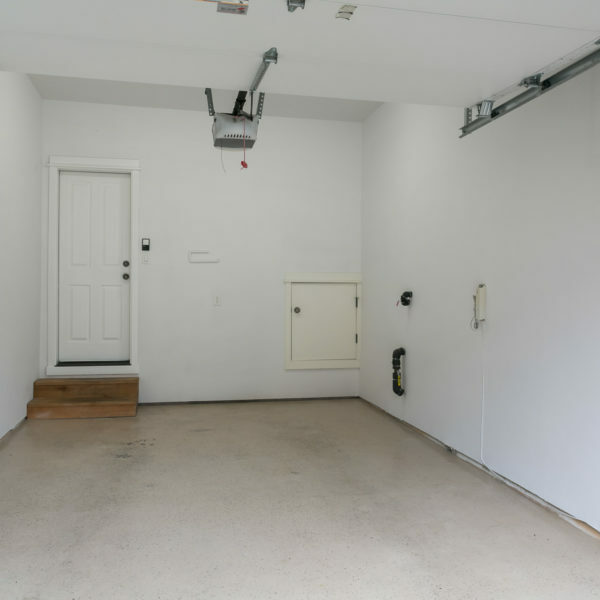 Attached garage with direct access and automatic garage door opener. 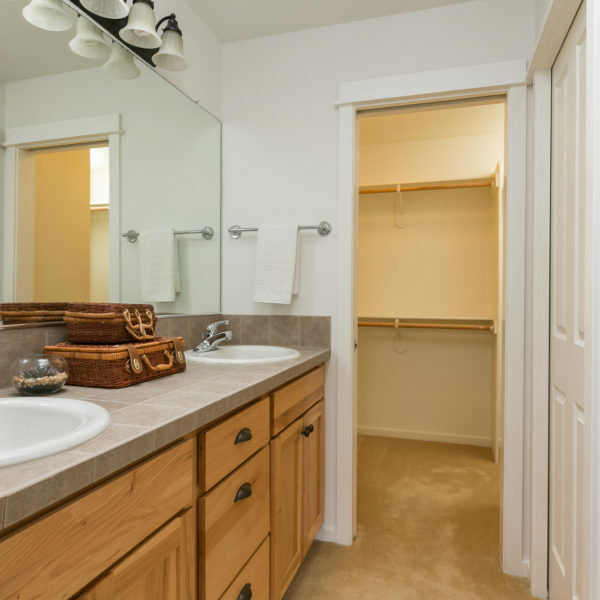 Enjoy low HOA dues, beautifully landscaped courtyards, walking paths, water features and large open green spaces. 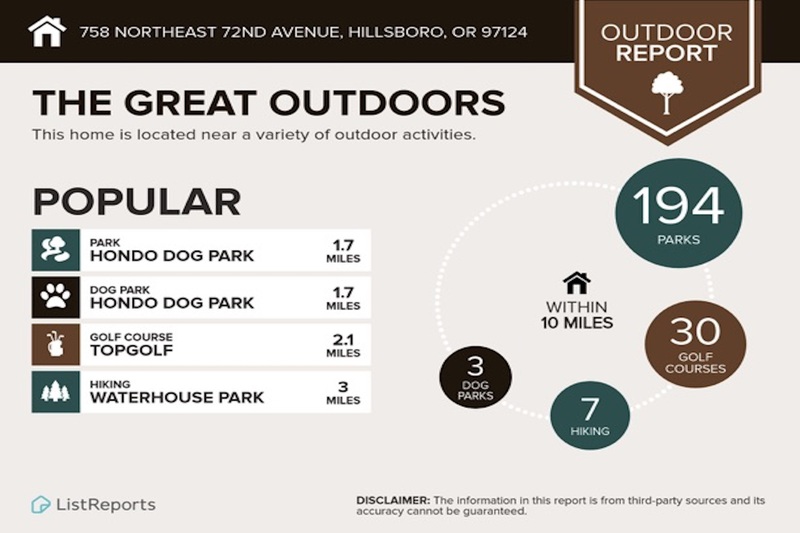 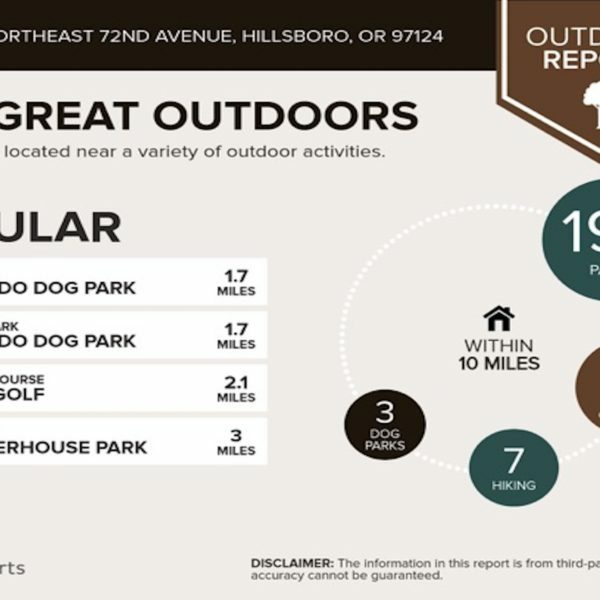 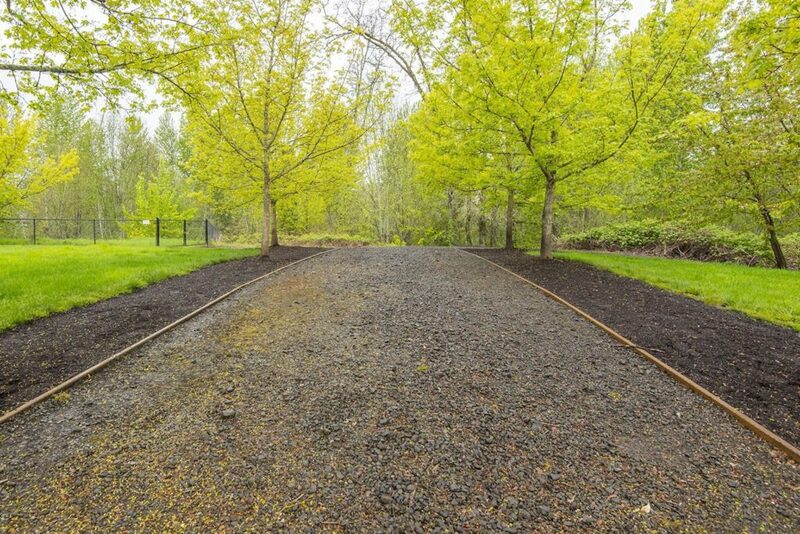 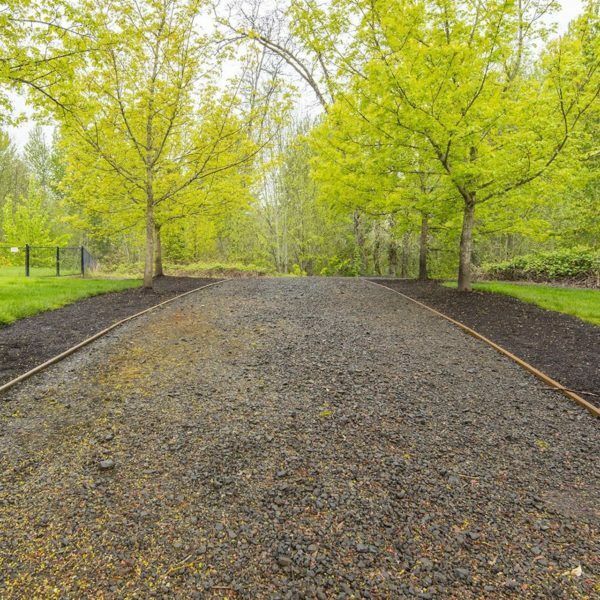 At Stonewater you are within walking distance of the MAX light rail at Orenco as well as the Orenco Woods Nature Park. 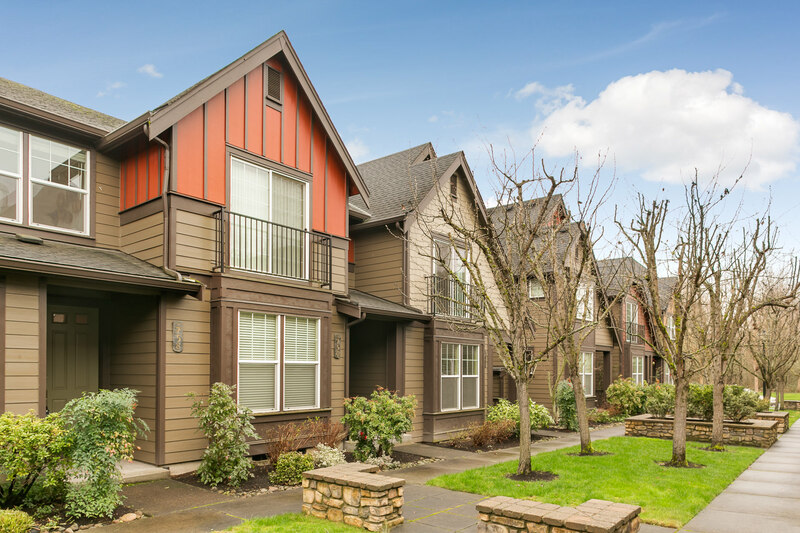 The Orenco Station Shopping Center is just up the street, which features New Seasons Market, many shops & restaurants. 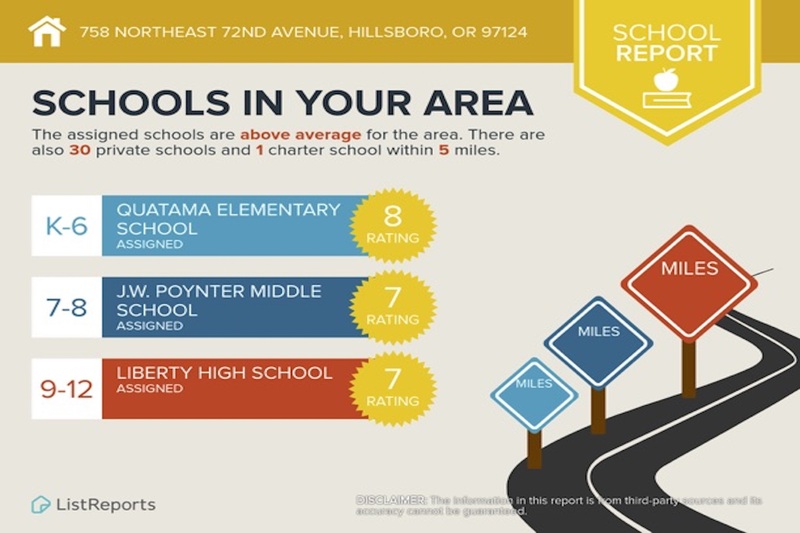 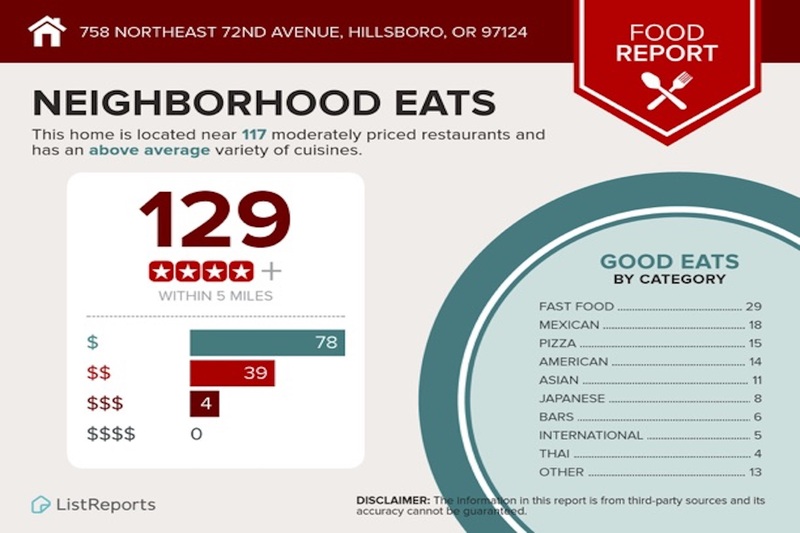 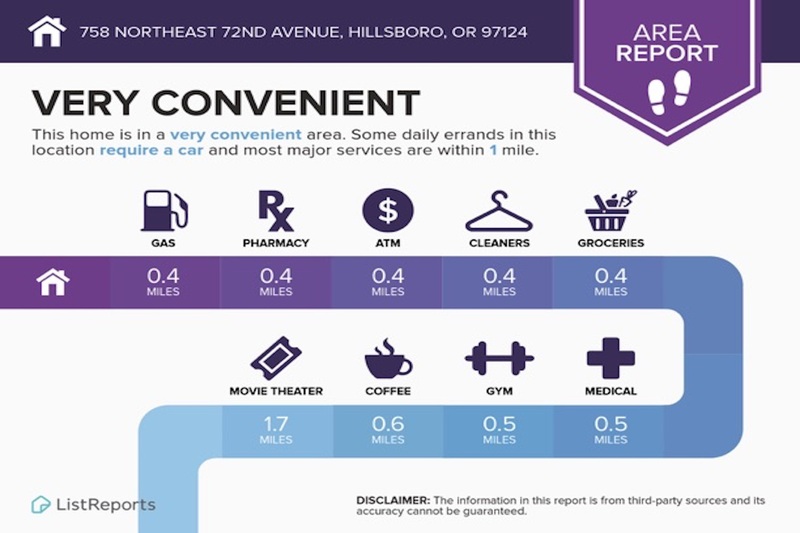 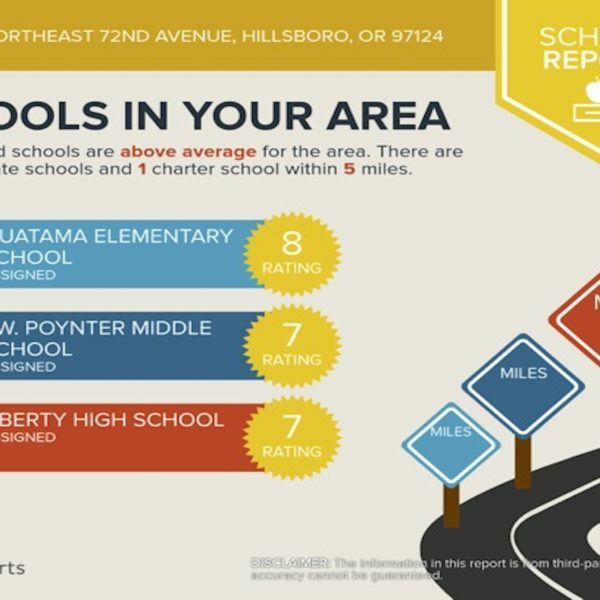 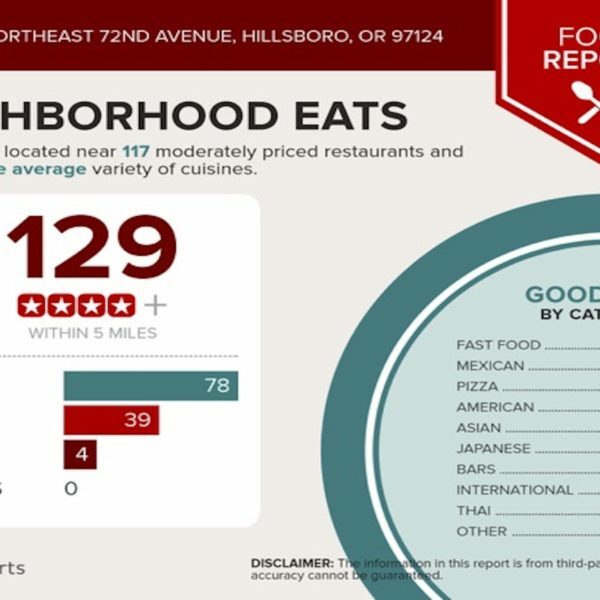 You’re also just a short drive from the Tanasbourne Shopping Complex and neighboring Beaverton. 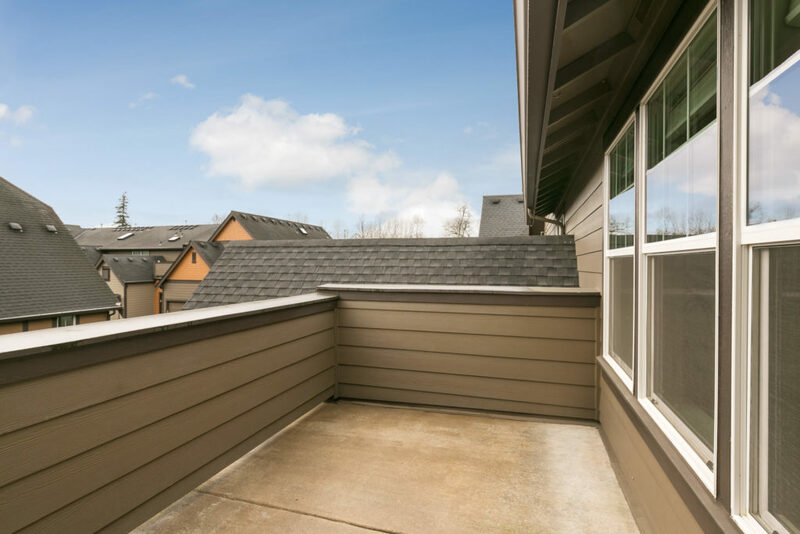 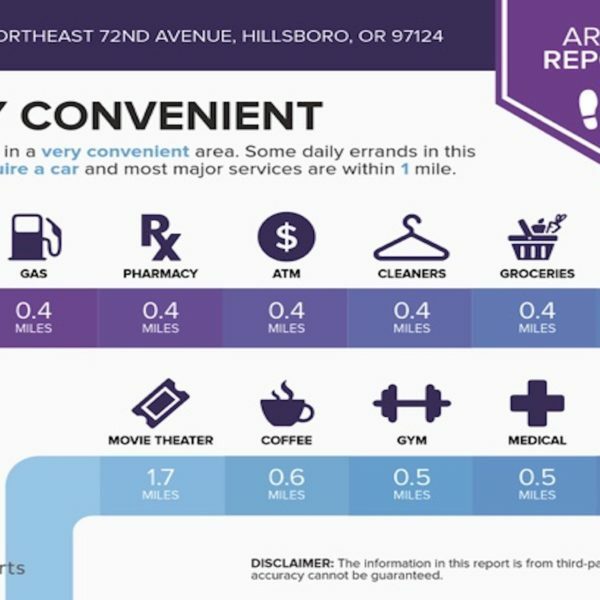 From this location you’ll have easy access to Hwy 26 and Hwy 217!